This year's Eurovision Song Contest takes place in Stockholm, Sweden. To tell you the truth, I'm not as excited for Eurovision this year. The entries this year don't seem to be as good as previous years. 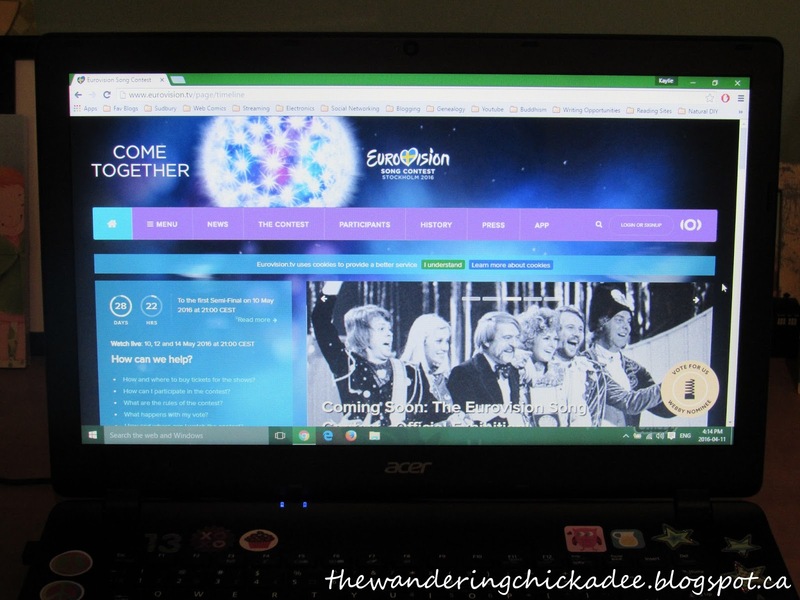 Listening to all of the songs (which can always be found on Eurovision's website and Youtube channel) ahead of time, there weren't a whole lot of them that struck me as new, exciting, unique, interesting... there weren't a whole lot that really popped, you know? Most of them didn't have that wow factor that a winning song has. I found that most of the songs just sounded like a lot of songs that I have heard before, like they were copying the sound and style but not really doing anything new with it. However, I still listened to some songs that were new, exciting, unique, interesting, really popped, and had the wow factor that I was looking for. These songs also come from entries in the 1st and 2nd semi-finals. None of the entries that are automatically in the grand final, otherwise known as the "Big Five," plus the winning country from last year made my list. I was actually surprised about this as at least a few of the automatic entries in the grand final usually make my list. Anyway, here is my list of entries that I like this year followed by explanations of why I like them. Keep in mind that I focused more on the song rather than the video because the performance might be different from how the artists originally performed the song or different from the music video. I will, of course, start with my favourite entry that I am cheering for (I'm "cheering" for them since I am from Canada and am therefore not allowed to vote). "Loin d'ici" by ZOË (Austria): I love the instrumentation for this song! It's beautiful and different from other songs that I've heard. The lyrics are nice as well. They are simple but not too simple that it's boring. I love this song so much that I've been listening to ZOË's album, "Debut," a lot lately. "Pioneer" by Freddie (Hungary): He has an interesting voice and the song has a good beat. I also love the lyrics and the meaning of the song. It's all about being proud of being different and unique. "Hear Them Calling" by Greta Salóme (Iceland): I like her voice and the upbeat song. This song sounds like it could be in a movie when characters are running. "You Are The Only One" by Sergey Lazarev (Russia): This song is very exciting! It's so fun to listen to and I'm really excited to see how it is performed on stage because they could do some really cool things with this song. "Slow Down" by Douwe Bob (The Netherlands): The lyrics have a good meaning about slowing down and finding your way in life. Also, this is more of a country song while a lot of Eurovision songs tend to be pop so it's a nice change. "Soldiers of Love" by Lighthouse X (Denmark): The voices of these three men work great together and I also like the bits of piano in the song. "Moment of Silence" by Ovidiu Anton (Romania): This song sounds like it could be in a musical. It's very powerful. Well, there you go! These are my favourite entries this year! As usual, I'll be watching Eurovision online on their web tv since I live in Canada. It takes place on May 10th, 12th, and 14th (you'll have to find out the times for your own time zone).